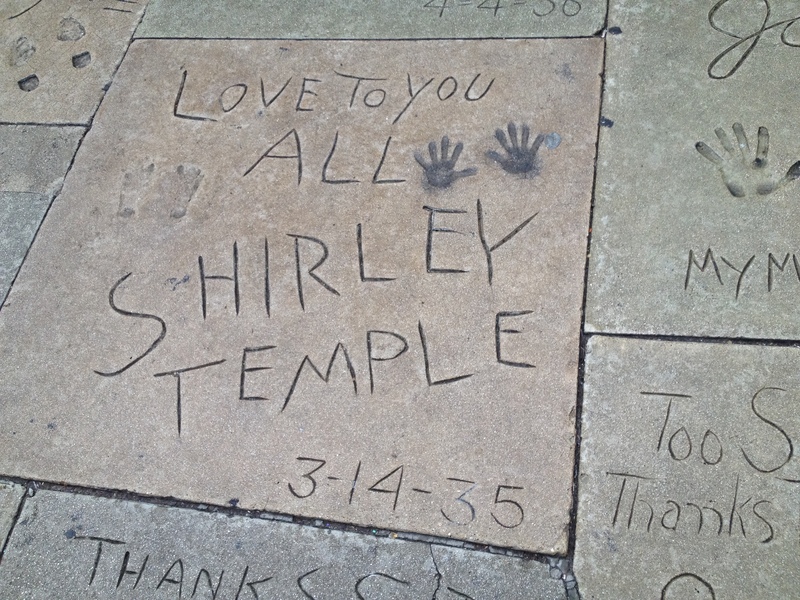 There is no place on earth that is synonymous to red carpet, bright lights and stars than Hollywood. 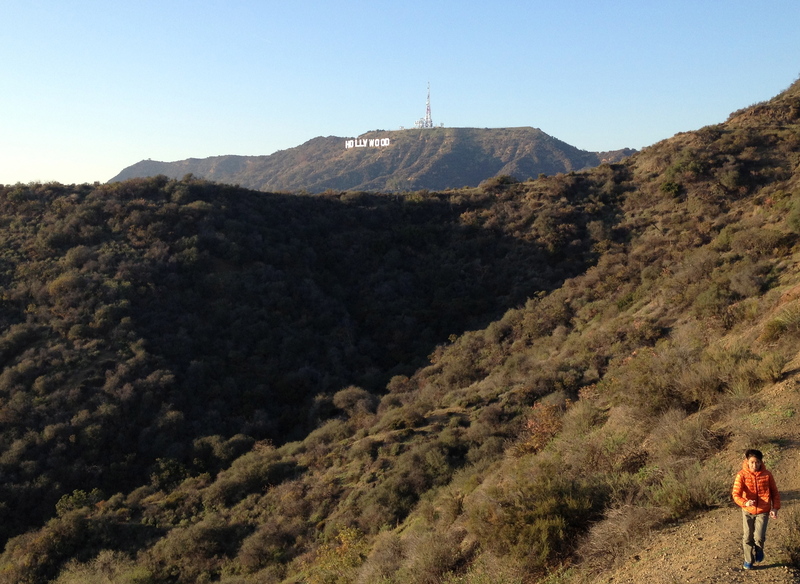 So during our recent holiday trip to California, we visited this district of Los Angeles, which is the center for the motion picture and entertainment industry. 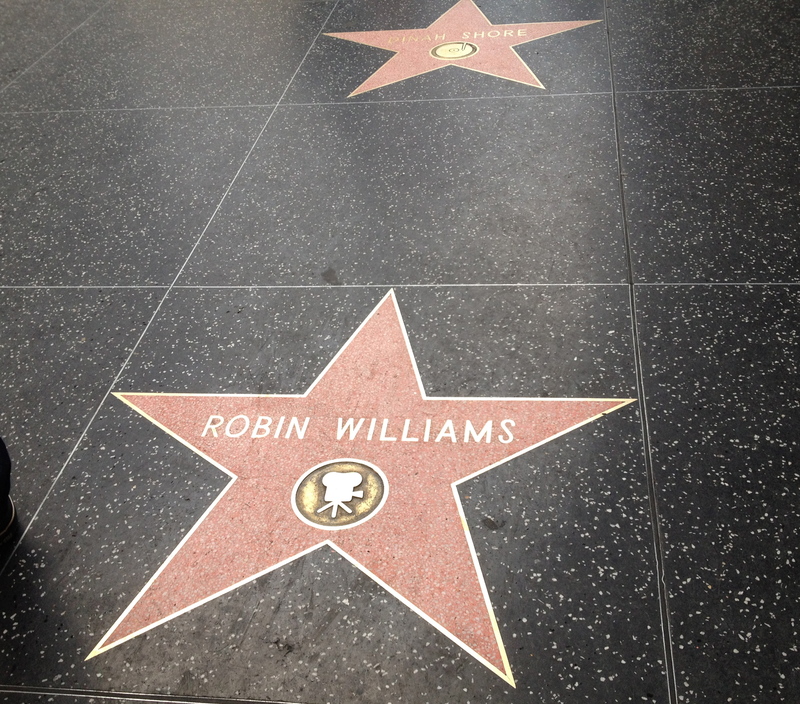 Obviously we would like to walk where the stars have walked. But since we were not worthy of a red carpet, plus we cannot find a red carpet anyway, we settled to walk down Hollywood Walk of Fame. 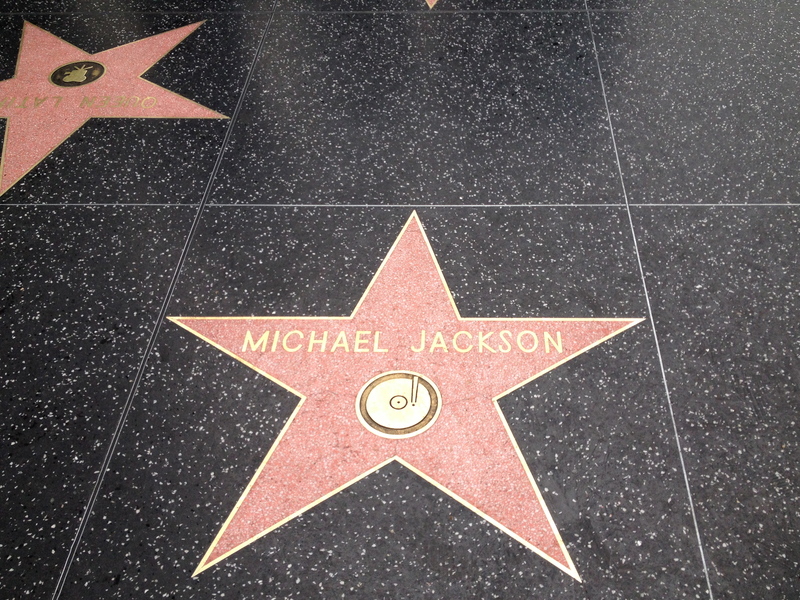 This is the place where the stars left their mark. I mean, literally. Since there were no stars to see in person while we were there, we did the next best thing. 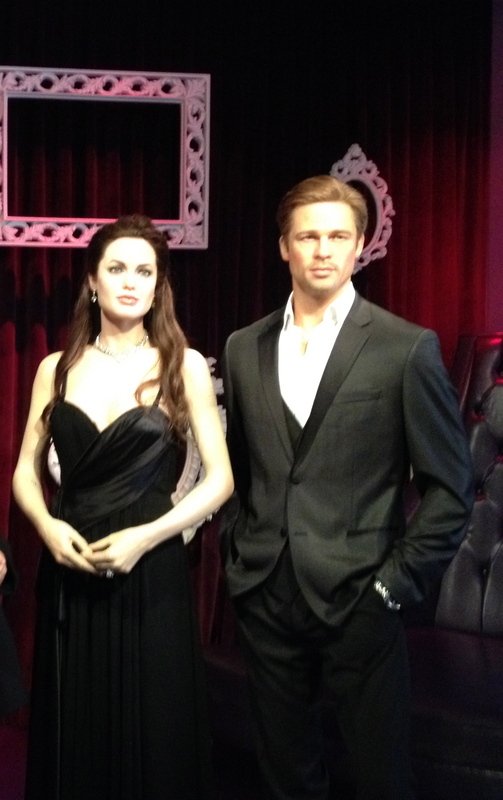 We visited their replicas at the Madame Tussauds. 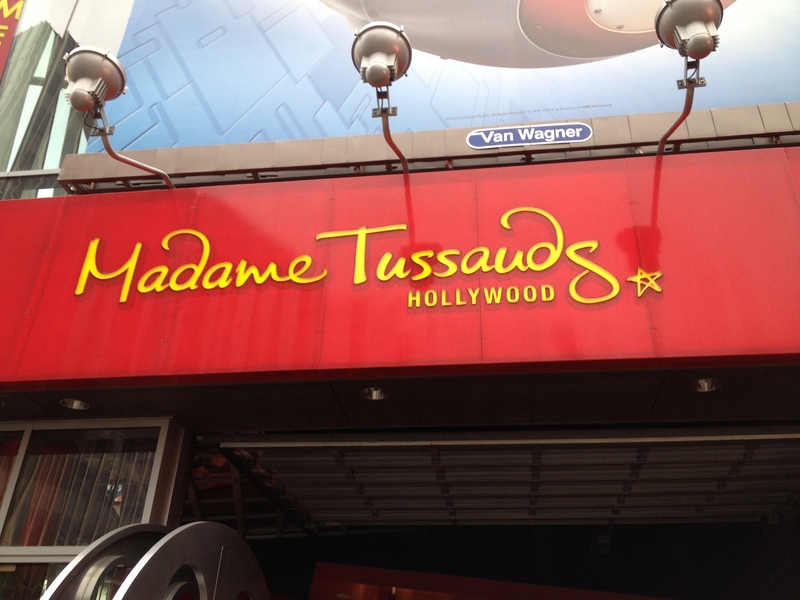 Madame Tussauds is a wax museum founded by sculptor Marie Tussaud, with the original site in London. 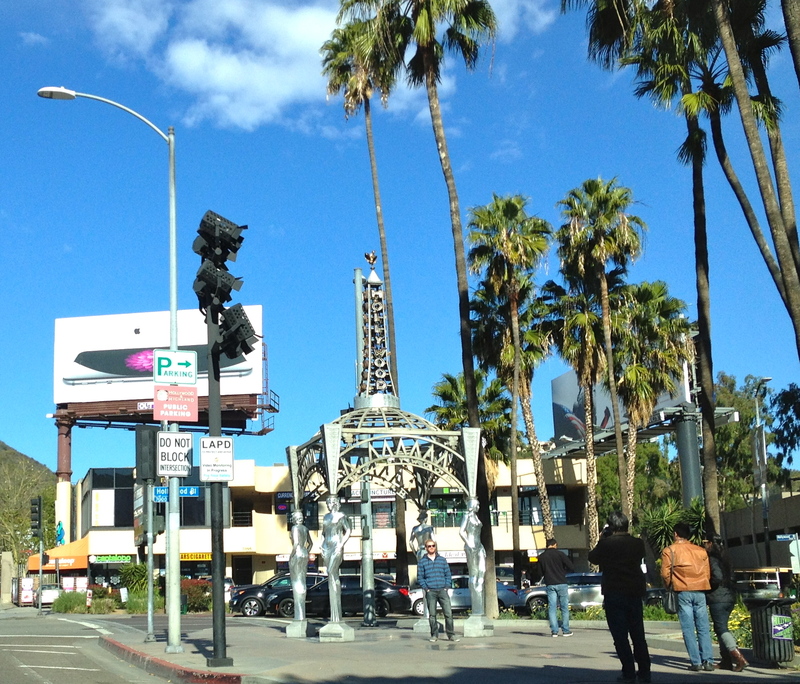 Now the museum has several branches in a number of major cities, including this one in Hollywood. Here we saw hot stars of today, as well as of yesteryear. 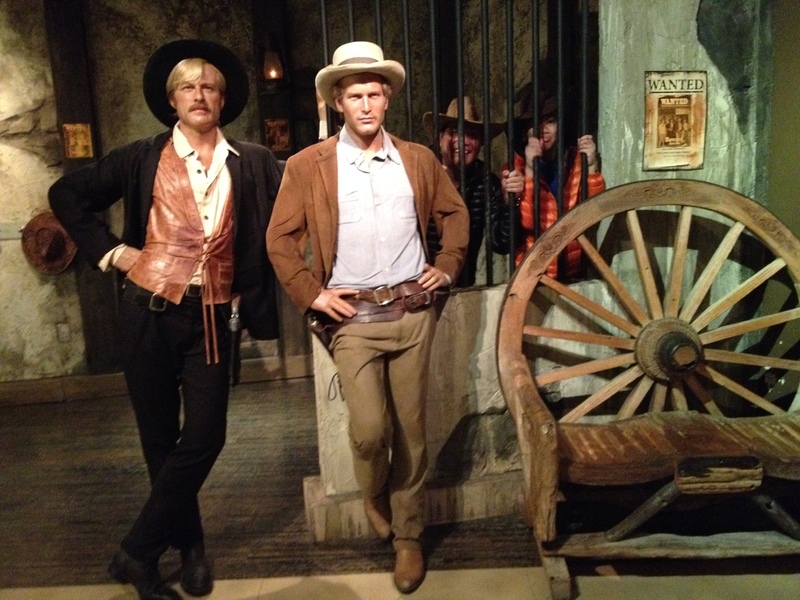 Contrary to what you’re thinking, the above sculpture is not of me and my wife. They just have some resemblance to us. Above is not a sculpture. 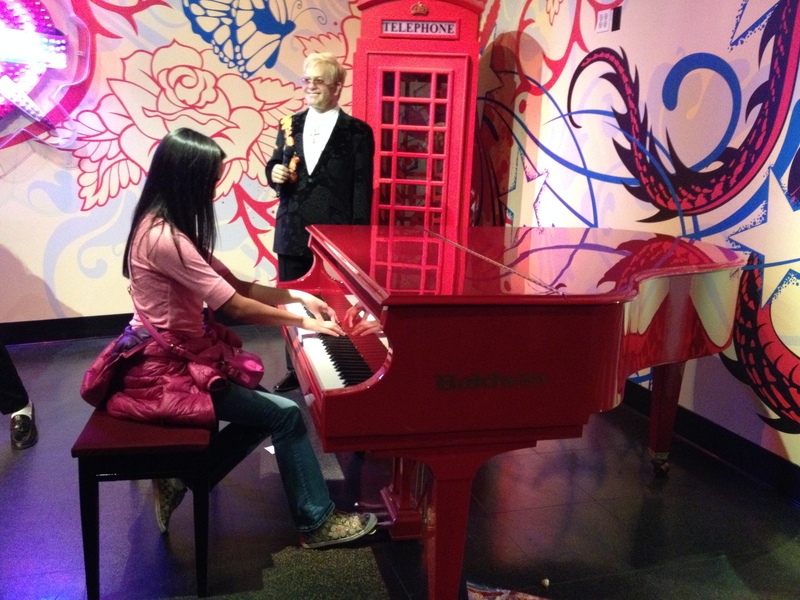 Well, Sir Elton John is, but the one on the piano is my daughter trying to strike a pose. 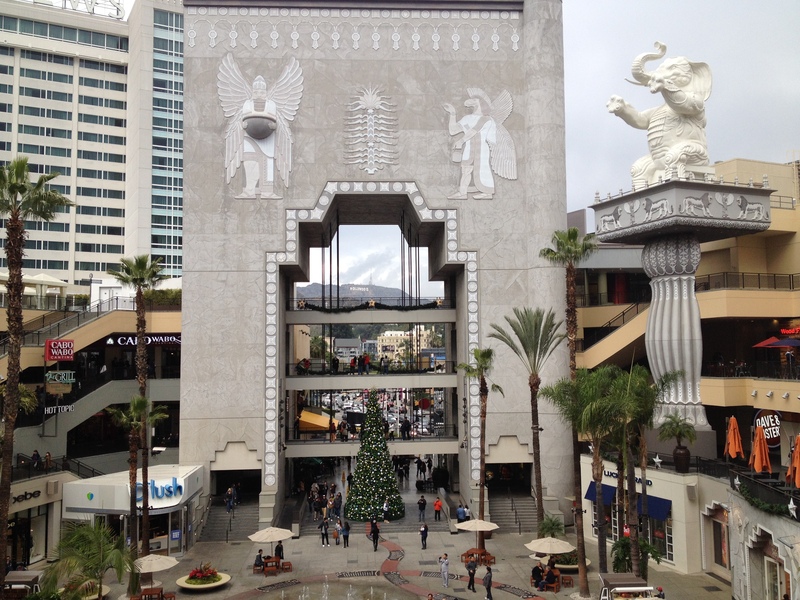 There are other places to visit in Hollywood, like the Kodak Theater, the Chinese theater, and the one below, the Hollywood and Highland Center. It is a large shopping mall and entertainment complex. If you look up into the mountains, besides the beautiful homes perched up on the hill, you will also see an iconic sign. Here it is with magnification. 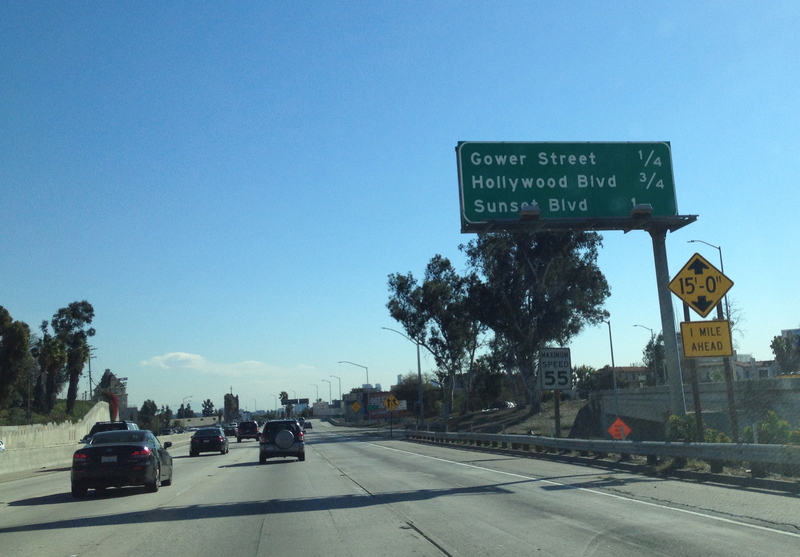 But we were not satisfied to see Hollywood from afar. We want to see it closer. 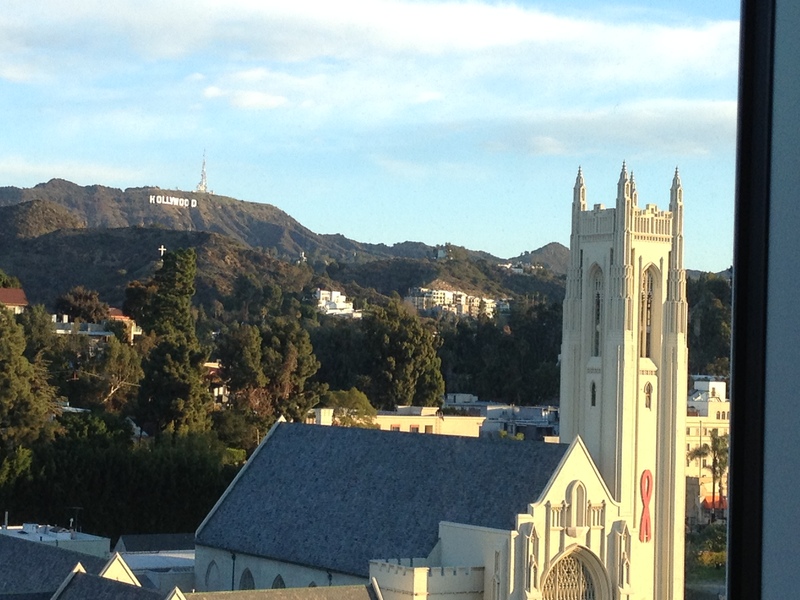 I mean to see the “Hollywood” sign closer. So my nephew who lives in LA, led us into a location, which is a far cry from an elegant red carpet walk. 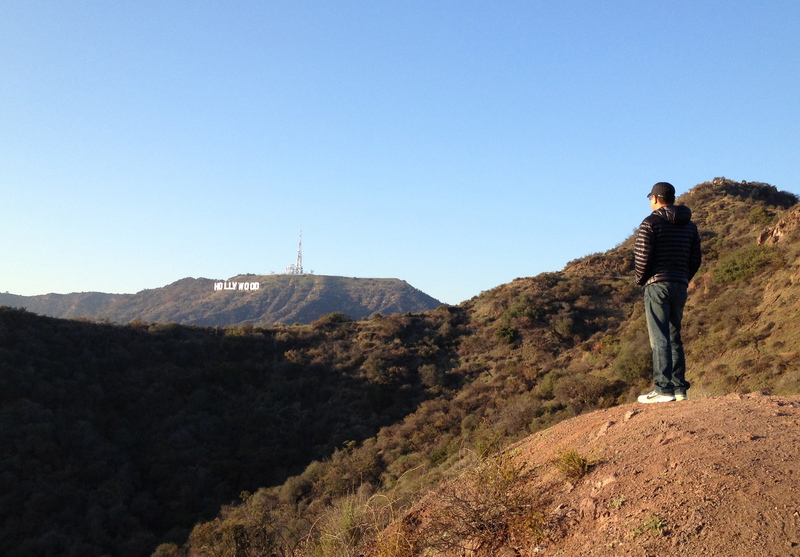 It was rather a rugged hike up the hills of Los Angeles. 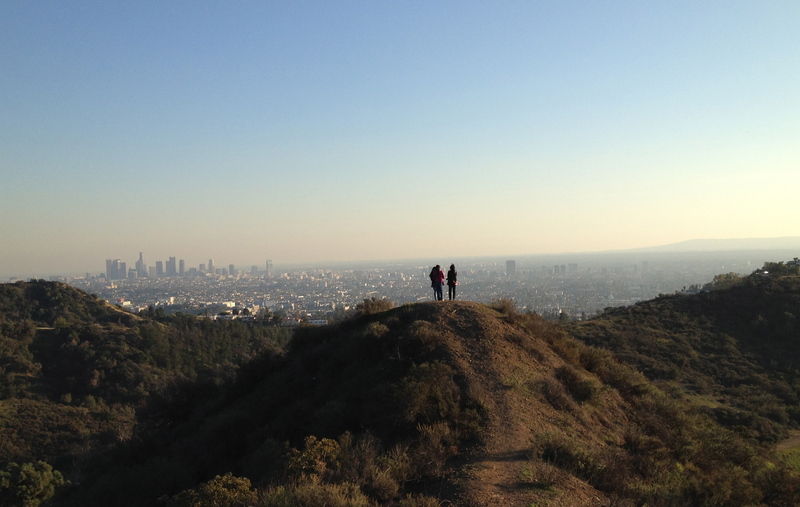 It is also up in these hills where you can have a scenic view of downtown LA. 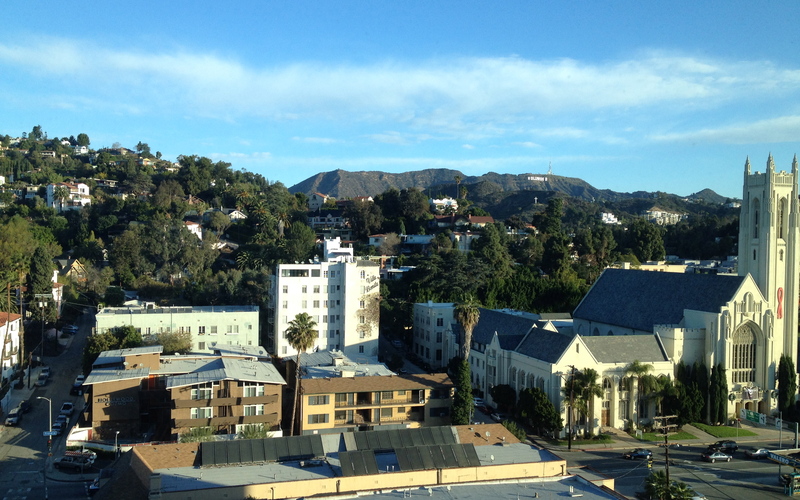 As I look into the Hollywood sign, I thought that maybe I can change career and pursue my luck here in Hollywood. 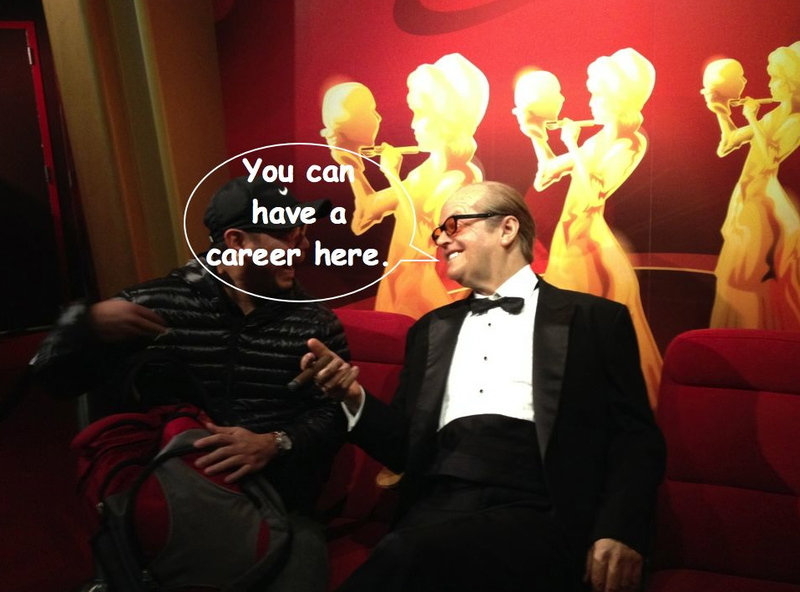 After all, Jack told me so. 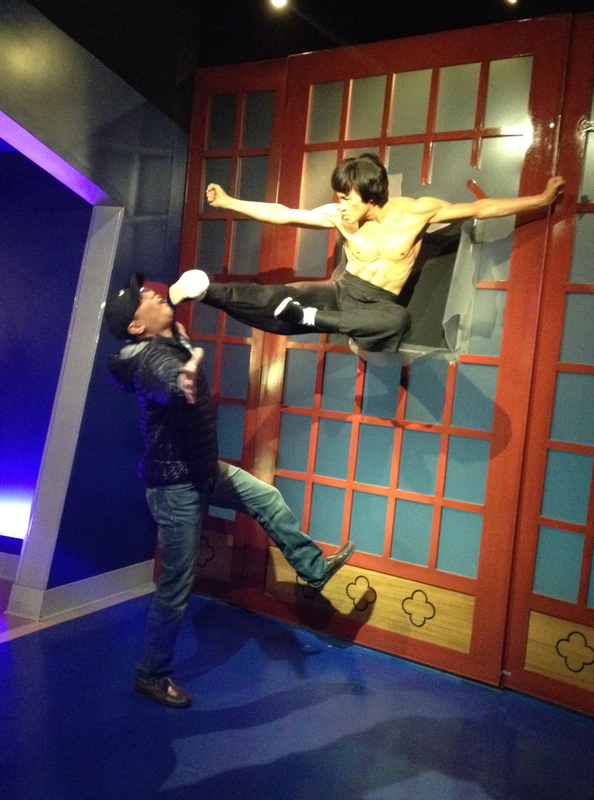 But then again, my pretty face may just end up at the tip of Bruce Lee’s foot. In that case, I think I’ll pass.